I thought it would be too good to be true. I´m getting the dreaded system freeze after waking up from suspend. A hard shutdown is the only way out of it. It doesn't happen when using pm-suspend. It´s a power manager thing. I'll switch to the MATE Power Manager in the morning. That always seems to fix it . I´ve never had any luck with the, Xfce4 Power Manager on any of my machines. It´ś a shame because it has a lot of nice features. Even with this annoyance, I´m pretty impressed with this Xubuntu release. After the tweaking and fine tuning are all complete, it'll be a cracker for sure !! I thought it would be too good to be true. I´m getting the dreaded system freeze after waking up from suspend. A hard shutdown is the only way out of it. Sorry, to hear that, Andy. I know that sinking feeling you get when you try to everything to avoid a hard shutdown, and then still have to do a hard shutdown anyway. When my machine whistles as I shut it down hard, my heart sinks along with the sound of that whistle. 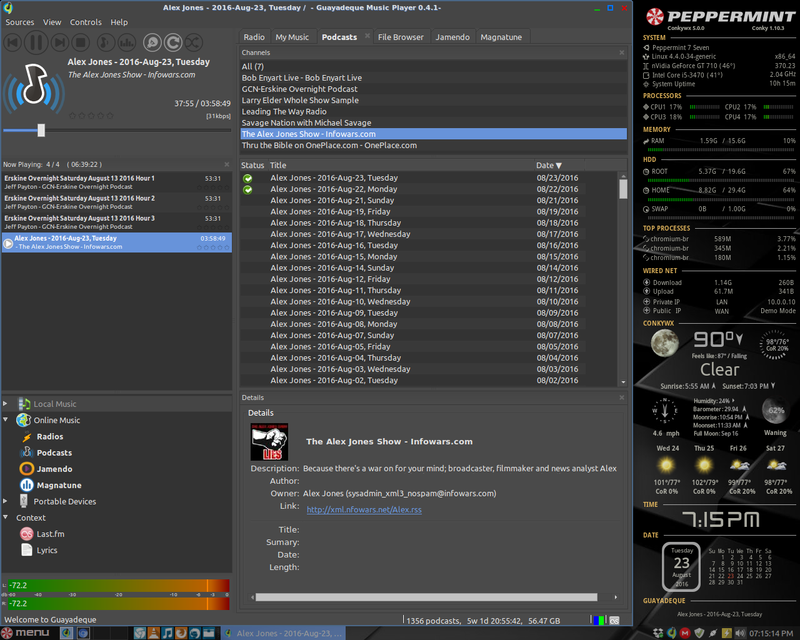 Even with this annoyance, I´m pretty impressed with this Xubuntu release. After the tweaking and fine tuning are all complete, it'll be a cracker for sure !! Andy, I always liked Xubuntu 14.04. In your opinion, is there really much of a difference between 14.04 and 16.04? I watched a YouTube review of 16.04 beta today. It looked seemed pretty much like 14.04 to me. Xubuntu 14.04 has, to date, been the most functional and practical distribution I've ever seen come out of Ubuntu. Add a Shimmer theme or two, a few Dalisha icons, and Quincy Jones' Walking In Space (long version, of course) ...now that's a DE to enjoy! Nice list of things *somebody* needs to do, but I find some of it unnecessary. "Meh" on the Canonical Partners thing. I agree on the restricted extras part, only without Flash (and MS core fonts and cabextract). I most certainly agree on the video player, though I also use VLC for music. I also don't feel the need to install a cloud storage service and the rest are Ubuntu specific. On my personal list always includes installing drivers, but not everybody needs to do that. "Meh" on the Canonical Partners thing. Canonical Partners is necessary if you need to use Skype. I get a kick out of the title below. I'll admit, while the wine bottle and some music are appropriate for Xubuntu, but I couldn't imagine "for better or for worse" with the other Ubuntus . And although I'm happy for Ubuntu's MATE lovers, I honestly find Peppermint's menu much easier to make sense of than MATE's trifurcated menu options. Remember: Ubuntu's forum is no place to spend your honeymoon! Seriously, I don't even have a camera or microphone for my desktop computers. The only time I've ever used Skype has been on Android. And I'm only one of the few people I know who doesn't own a smart phone. Xenial Xerus? Animal name. Better "Amazon Ubuntu"
I read a lot about Linux and these lists "Things to do after install Ubuntu (and all flavours); Linux Mint and Fedora" are insane. You type in the terminal codes; tweak things and broke your system. The first thing is understand how works the linux distribution in your laptop/desktop; verify your cpu usage; software manager; and, in case of problems, if you have a good support. Other thing: distro translation. My Peppermint control center it is in English and a few things in my language. Ok, nothing wrong. But, why i should read something for personal utility in english? Linux is universal but not in language variety. In the future, maybe, things change. I hope. Yeah, Canonical always uses animals. Though, they're not always animals I'm familiar with. Incidentally, there's something in the Xubuntu settings manager (don't remember what, and I'm running Peppermint right now) that's in French. That threw me for a loop, given that my system language is US English. Other thing: distro translation. My Peppermint control center it is in English and a few things in my language. Ok, nothing wrong. Have you thought about contributing some time to help with the language translation? Particularly considering the fact that you get to legally use Peppermint Six without needing to pay anything. Peppermint OS is produced a very small group of people who do not speak all languages fluently. I am sure that any assistance would be welcome. Yes, i would like to contribute with Portuguese (PT-pt) translation. How can i help? I work with books and i have university degree in my own language. That's great to hear! I also saw your other posting concerning this and, as you can read in PCNetSpec's reply, it is too late for the initial release of Peppermint Seven. But do not despair or give up!! Because the Peppermint OS team is small, they can surely use help in various ways. Please be patient because the guys have really a lot to do getting Peppermint Seven finished in a timely manner. Then they can take time to perhaps tap into your skills. Does it work with mp3 now (or wma, or whatever it was that didn't used to work) ?